On Thursday, September 14, WHSAD’s YPLAN students attended the Meeker Avenue Visioning Workshop co-hosted by Council Members Stephen Levin and Antonio Reynoso, and Assemblyman Joseph Lentol, to reimagine Meeker Avenue and the parking fields underneath the BQE. 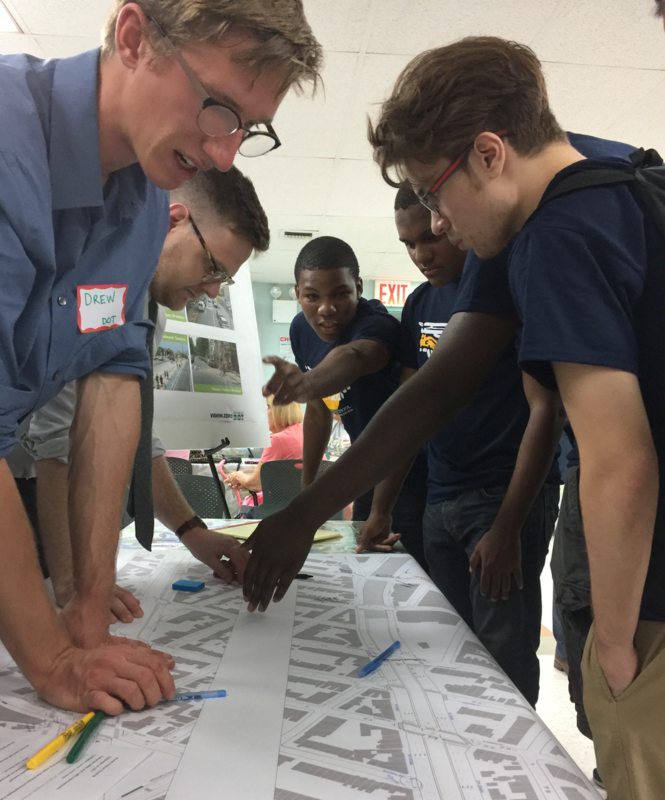 Students participated in break-out sessions to discuss a variety of topics with community members, including pedestrian safety, traffic improvements, bicycle connections, public spaces, and streetscape enhancements. YPLAN students will be partnering with the New York City Department of Transportation to remodel the area and activate the space under the BQE. 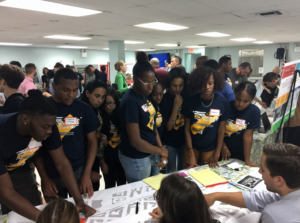 Click on the article below from the Queens Ledger to read more about the event and what some of our students had to say about working on such a project.